eTERM is the big terminal of the ethernode® series with a decimal pad for digit input and (optionally) a built-in RfiD reader/writer. 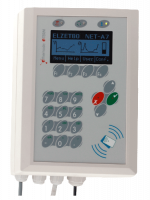 eTERM terminal with 230V power supply, two serial interfaces(1x RS232/485), Direct Access* for electro-magnetic door openers 12V, two digital inputs 24V and one relais output. 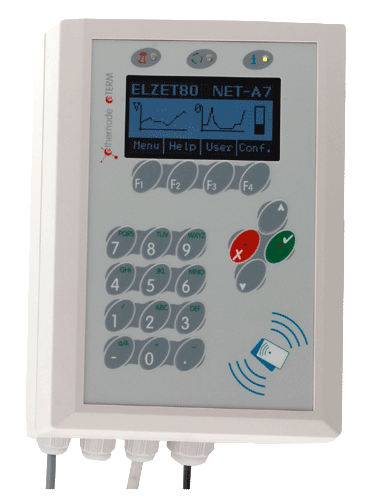 eTERM terminal like the standard model, but with integrated RFiD-reader/writer following MiFARE protocol (in return no RS232 interface). 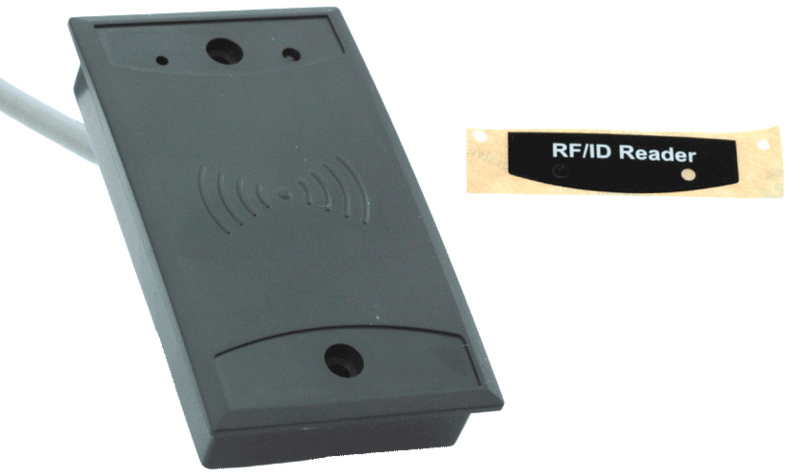 External reader for RFID cards or keyring (MiFARE protocol), suitable for connection over RS232. On request other readers. eTERM is the big terminal of the ethernode® series with a decimal pad for digit input and (optionally) a built-in RfiD reader/writer. The display is compared to the ETH-A7L a special high contrast display, also with 128x64 pixels and the beeper has been replaced by an especially loud type. eTerm is mains supplied and has got a transformer for the door opener so that one can hear the door being opened.